The Lagos chapter of the PDP has said that the governorship candidate of the APC, Babajide Sanwo-Olu, is not fit to govern the state and has vowed to expose him soon. The party described Sanwo-Olu as an emergency candidate who is not prepared for the job compared to the PDP candidate, Jimi Agbaje, who’s blueprint to free Lagos had been since 2006. The party also said Sanwo-Olu will lose the 2019 governorship election irrespective of the endorsements he receives from other political parties. 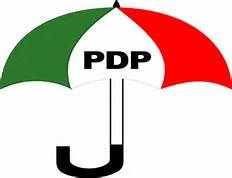 A statement on Sunday by the PDP Publicity Secretary, Taofik Gani, said there was no concrete proof that 45 political parties actually endorsed Sanwo-Olu. The statement reads: “At the appropriate time, we shall expose Sanwo-Olu as truly not fit and proper to be elected governor of Lagos State. “Sanwoolu is a ‘bad market’ that cannot appeal to Lagosians even if he buys political parties beyond the registered ones in the country. “To us, the consequence of the Sanwo-Olu imposition is the terminal acrimony, defections and anti-party in the Lagos APC, which we shall duly capitalise on to end the reign of APC in Lagos state,” he said.